This website is the property of Foxtons Limited of Building One, Chiswick Park, 566 Chiswick High Road, London W4 5BE. By using this website you agree that you consent to and are bound by the following terms and conditions. This licence to re-copy does not permit incorporation of the material or any part of it in any other work, publication, or website whether in hard copy or electronic or any other form. In particular (but without limitation) no part of Foxtons website, including but not limited, to photographs, property details, virtual tours and/or floorplans may be distributed or copied for any commercial purpose. You may not frame this website without the express consent of Foxtons. The Foxtons logo is a trade mark registered in the name of Foxtons in the UK and other parts of the world. Reproduction of this trade mark other than in order to view this website is prohibited. Foxtons takes all reasonable care to ensure that the information contained on this website is accurate, however, we cannot guarantee its accuracy and we reserve the right to change the information on this website (including these terms and conditions) at any time. You must therefore check these terms and conditions for any such changes each time you visit this website. Foxtons makes no representations or warranties of any kind with respect to this website or the content contained on it, including any text, graphics, advertisements, links or other items. Further more, neither Foxtons nor any other contributor to this website make any representation or gives any warranty, condition, undertaking or term either expressed or implied as to the condition, quality, performance, accuracy, fitness for purpose, completeness or freedom from viruses of the content contained on this website or that such content will be accurate, up to date, uninterrupted or error free. Nothing on this website shall be regarded or taken as financial advice. At Foxtons we are committed to ensuring that your privacy is protected. This privacy notice, together with our Terms and Conditions and any other notice referred to in it, explains how we collect and use your personal data when you visit our website or use our services. This website is not intended for children and we do not knowingly collect personal data from children. This privacy notice was last amended in March 2019 and supersedes any earlier version. We use your personal data for the purposes shown in the table below. We will only use your personal data for the purposes for which we collected it. If we need to process your personal data for a different purpose that is not compatible with the original purpose we will let you know. We may process your personal data for a different purpose without your consent where it is necessary for us to comply with our legal obligations. contacting us at any time by emailing privacy@foxtons.co.uk or by calling 020 7893 6000. Where you withdraw your consent to receiving marketing messages, we will still process your personal data in order to fulfil our contract with you and in accordance with our legal, accountancy and regulatory obligations. We will get your express opt-in consent before we share your personal data with any company outside the Foxtons Group of companies for marketing purposes. The Foxtons website and applications may automatically collect data about how you use our services in order to help us improve future functionality of our website and to assist with advertising and targeting. We use Google Analytics, which is a web analysis service provided by Google. The cookies on the Foxtons website do not track, collect or upload data such as your name, email address or billing information, but it may collect data about your equipment and browsing activities. We may collect and report on the adoption and usage of specific features, crashes and exceptions and other useful, anonymous metrics. Certain devices can detect your approximate location, via latitude and longitude. The accuracy of this data is not in the control of Foxtons. If this feature is requested, Foxtons will prompt you to provide your permission to access your location data for the purposes of providing you with results or directions based on your current location. You can disable location settings within your browser or app. External Third Parties Service providers acting as processors based in the United Kingdom who provide IT and system administration services, anti-money laundering service providers (such as NorthRow), tenancy deposit administrators (such as the Tenancy Deposit Scheme) and services to enable us to perform our contract with you, or carry out surveys to help us improve our services. We may forward your present and future contact details to utility suppliers, local authorities and credit or reference providers, including for the purposes of debt recovery. If you are a landlord or a tenant and have decided to use a Zero Deposit Guarantee product in place of a normal Deposit we will refer your personal information to Global Property Ventures Limited (t/a Zero Deposit). We are, through technical and organisational means, committed to ensuring the security of, and prevention of unauthorised access to, your personal data. For example, we limit who can access your personal data to those individuals and third parties who need to know it and who are subject to a duty of confidentiality. If we become aware of a data breach we will, where we are required to, notify the Information Commissioner's Office. If we believe that the data breach is serious, we may notify you as well. We will retain your personal data whilst you use our services (or whilst we provide services connected to you) and for at least seven years thereafter, for legal, regulatory and accounting purposes. If we need to retain your personal data for longer, we will take into consideration the potential risks in continuing to store your data against why we might need to keep it. In some circumstances we might anonymise your personal data so it is not associated with you, and we may then use this information indefinitely. ask that personal data we hold about you is, where technically feasible, transmitted to a third-party chosen by you, in a commonly used, machine-readable format. The rights listed above may not apply in certain circumstances. Therefore we may not always be able to comply with your request. We will tell you if this is the case. We will usually respond to a request from you to exercise your rights within one month of receipt, but it might take longer if your request is particularly complex or if you have made a number of requests. Please be aware that we may need to process your personal data and/or request specific information from you to help us comply with your request. Generally, you do not have to pay a fee to exercise these rights, but you may have to pay a fee if your request is unfounded, repetitive or excessive. Alternatively, we may refuse to comply with your request. We are registered as a Data Controller with the Information Commissioner’s Office, the UK supervisory authority for data protection issues. To contact us about how we handle your personal data, please contact our Data Protection Officer at privacy@foxtons.co.uk. Alternatively, write to us at Data Protection Officer, Foxtons Limited, Building One, Chiswick Park, 566 Chiswick High Road, London, W4 5BE. If you have a complaint about the way in which your personal data has been processed you have the right to contact the Information Commissioner's Office but you may be required to first complete our internal complaints procedure. Foxtons is committed to operating its business in a transparent and open manner consistent with our legal and regulatory obligations. We are aware that the real estate industry is a target for organised criminals seeking to launder the proceeds of criminal activity. We always seek to prevent this activity by cooperating fully with the authorities and reporting suspicious activity to the National Crime Agency. Foxtons Limited is registered in England and Wales (registered number 01680058). 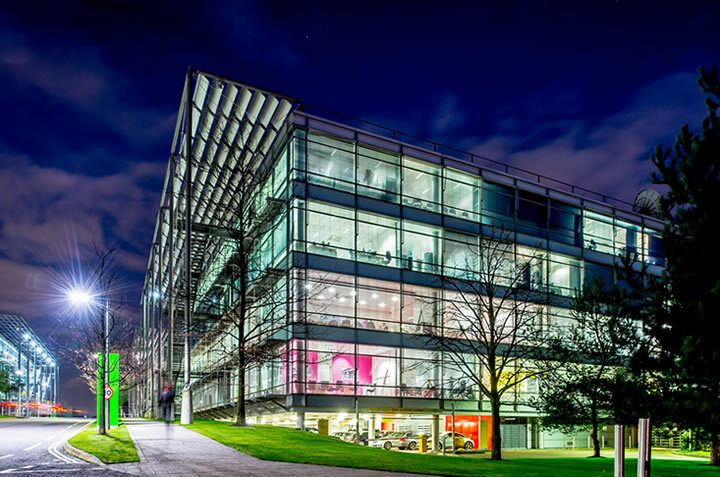 Our registered office is at Building One, Chiswick Park, 566 Chiswick High Road, London, W4 5BE.